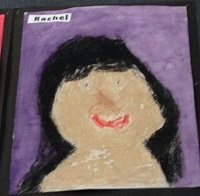 My name is Rachel France, and I am a permanent part-time teacher at Kilbirnie School. I am currently teaching two days a week. I teach Te Reo Maori, Senior Choir and Kapa Haka. In my non-teaching life, I am a performer, so I share my musical and theatrical background with the students to bring their performance skills up to a very high standard. A big part of my job is event management. We often perform throughout the year at local community events. There is a wealth of very talented performers amongst the students and I feel privileged to provide these opportunities. At elective time I usually offer French or Ukulele. My personal teaching philosophy is to keep learning fun and my scaffolding for language learning is through Waiata (song) and Nga Kemu (games). I aim to provide a safe learning environment where students can take risks and be confident to “give it a go”.